Transdisciplinary Research in Principles of Data Science (TRIPODS) is a National Science Foundation (NSF) program that created twelve institutes to investigate foundational problems in data science over three years, one located at Brown University. TRIPODS+X is an opportunity for those institutes to collaborate with other researchers an institutions on more specific questions, in domain research areas, data science education, or "visioning:" building community ideas in data science research. The Brown TRIPODS+X grants are two research grants and one education grant. "Identification of Gene Regulatory Network Function from Data" is a collaboration with researchers from Duke, Rutgers, and Montana State Universities. New technologies have enabled biologists to collect precise data on changing expression patterns at the genome scale, yet the gene regulatory networks guiding these changes largely remain hidden. 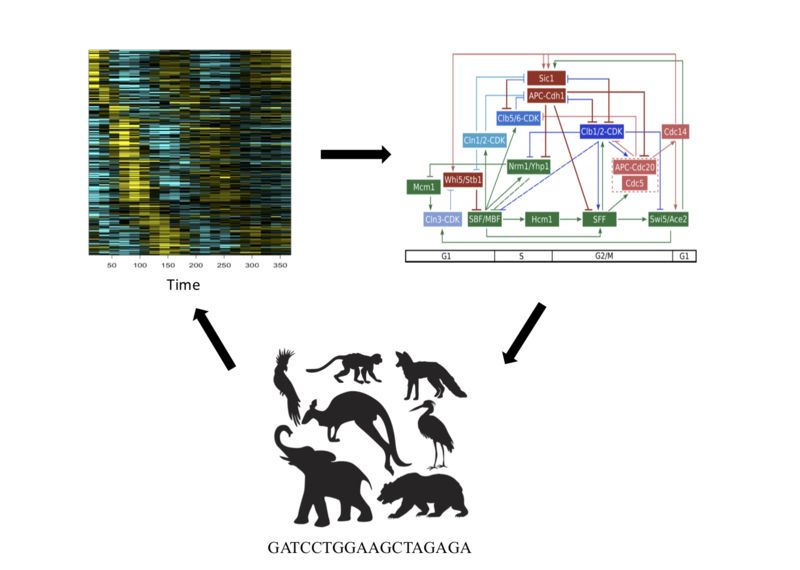 The project aims to develop a suite of computational tools, drawing from the field of dynamical systems, to discover the structure and function of underlying regulatory networks directly from the expanding library of genome-wide expression data sets, and then describe all potential dynamic phenotypes of these networks. "Investigations of Student Difficulties in Data Science Instruction" is a collaboration with Smith College and Valparaiso University. Data Science impacts many areas and disciplines: the need to educate the next generation of policy makers, data science researchers, and global citizens has fueled rapid growth in data science curricula. It's not always clear, however, what a data science curriculum should include to prepare students for careers in the field. This grant aims at identifying student misconceptions about data science concepts along with mismatches between core curricular elements and early-career practitioners' daily work. Ultimately, the outcomes of this grant will inform work on data science concept inventories to improve education and teaching. The Brown Principal Investigator for both these grants is Brown's Data Science Initiative Director, Bjorn Sandstede. The third grant is a Yale University project that includes DSI Founding Director and TRIPODS Co-Principal Investigator, Jeff Brock: Investigations at the Interface of Data Science and Neuroscience." This project seeks to build bridges between data science and neuroscience. Neuroscience is currently generating massive amounts of data, but to generate knowledge from that will require new data science methods and rigorous mathematically-based theory. At the same time, insights about the human brain can advance machine learning and artificial intelligence. Together, these grants are only a small example of where TRIPODS might lead in the future.